This Medication Aide Program prepares students to safely administer or to assist in client self-administration, medications in specific settings. This class includes lecture, skills lab, and clinical experiences. Students will be able to facilitate or assist the client with the administration of insulin, prepare for safe administration of medications to clients in assisted living facilities, maintain aseptic conditions, understand basic pharmacology, follow appropriate procedures for documentation and much more! 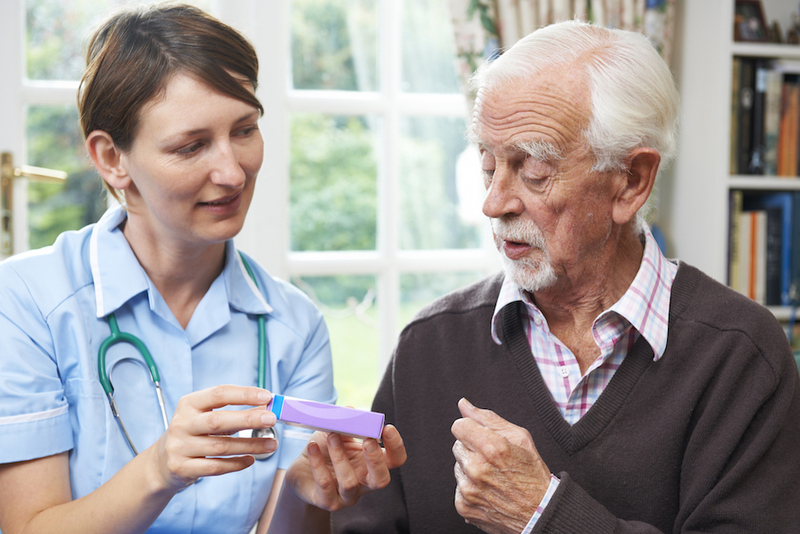 A Medication Aide can safely administer, or assist in client self-administration, medications in specific settings. According to the BLS, jobs for nursing assistants and orderlies are expected to grow at a relatively fast rate of 20 percent between through 2020, leading to an estimated 302,000 new jobs by the end of the decade. Due to a high turnover rate in the industry, many additional positions are expected to become available as current workers retire or leave the profession. Nursing assistants with a Medication Aide certification have even better prospects. Pre-requisites: Successful completion of a 40-hour direct care staff training required by the Department of social services for Assisted Living Facilities, a Department of Medical Assistance Services approved personal care aide training program or successful completion of a Board of Nursing nurse aide training program. Students must also complete a WorkKeys Assessment prior to registration.